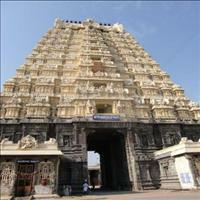 Importance: Seat of the Shankaracharya and also famous for the pure silk sarees. Best Time to Visit: September to March and Throughout the year for religious purpose. 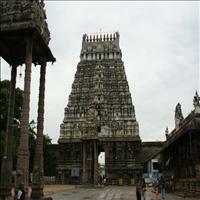 Kanchipuram is one of the most sacred towns of India and known as the city of thousand temples. 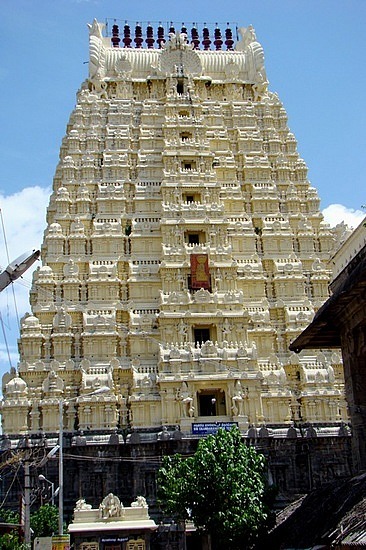 The other reason behind its importance is that it is the seat of Shankaracharya, the highest position in the Hindu priest heirarchy. It is said that this place used to have almost thousand temples which are built down the ages by different dynasties and their rulers. Today almost all of them have been whithered away with time and just a few remain, which too, are a whooping 125 temples in number! 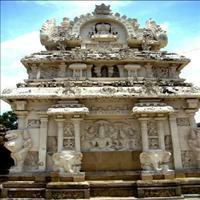 <br />Kanchipuram, has been a prominent city in the history of India. 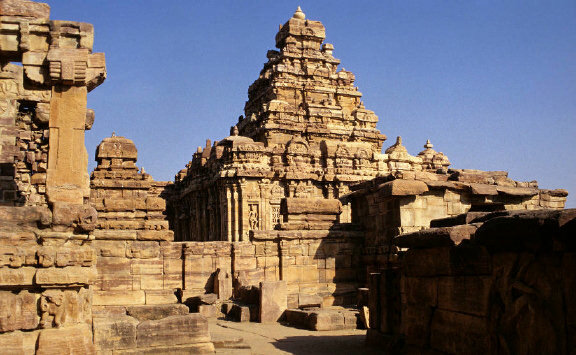 Facts prove that the city was ruled by the Chola dynasty as early as the 2nd century B.C. 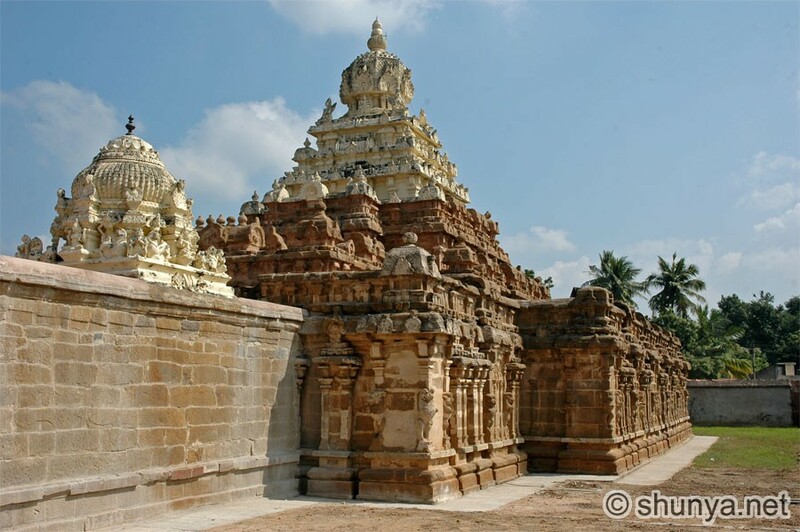 This was the city which also had trade of various articles from China in the olden days during the rule of Chola and the Pallava dynasty. 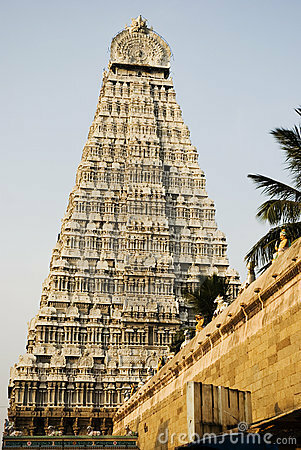 The city today is famous for its beautiful silk sarees. One of the many items which were traded between China and Kanchipuram was Silk. 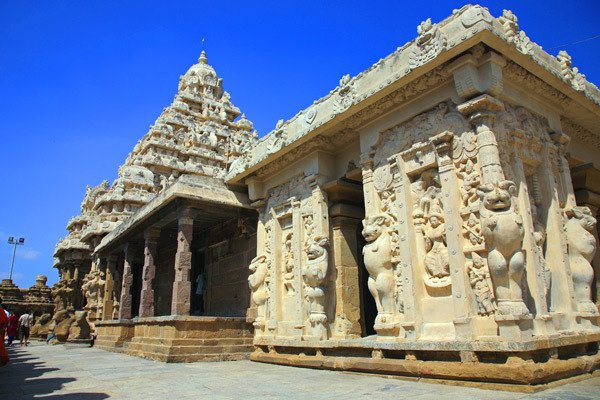 <br />The temples of Kanchi have a typical Dravadian architecture which stand testimony to the wonderful cultural heritage of the Southern ruling dynasties. The district of Kanchipuram is surrounded by various districts of Tamilnadu. 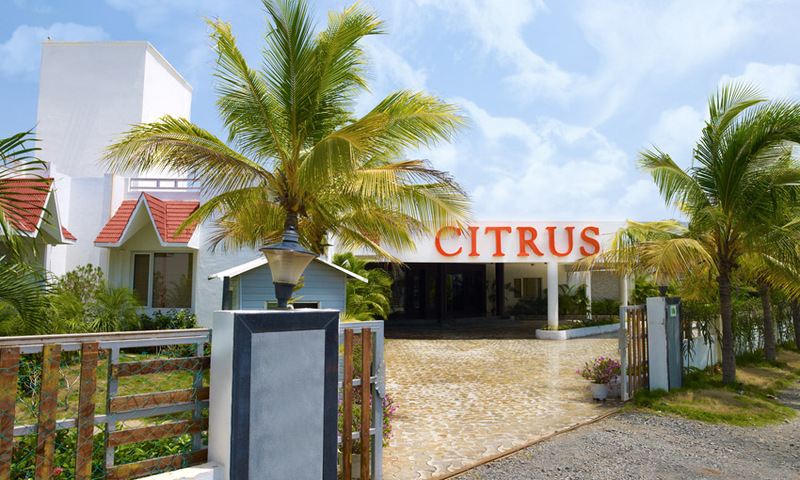 While in the north it shares its borders with Chennai and Thiruvallur, in the south its has Villuparam and Thiruvannamalai districts and in the west has the district of Vellore. 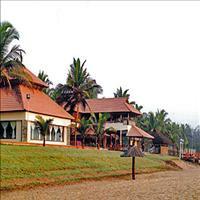 On the east it has 57 kms long the coast line of the Bay of Bengal. 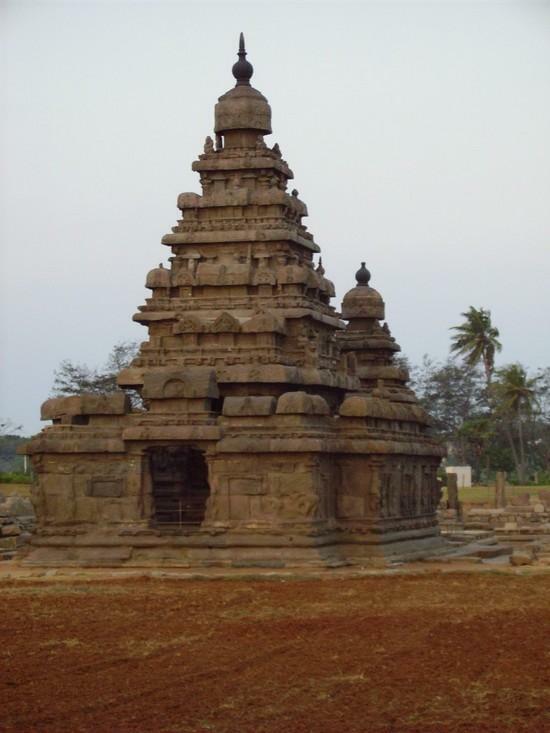 Dedicated to Shiva, Kaliasanatha is one of the earliest temples. 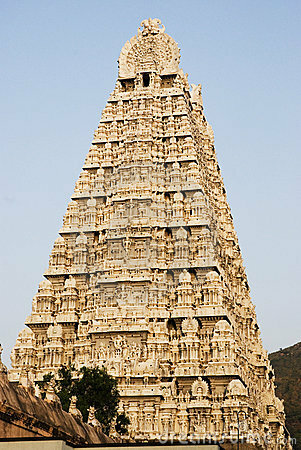 The Pallava king, Rayasimha, built it in the late 7th century. The temple is now run by Archeology Department and is very fascinating. Non-Hindus are also allowed into the inner sanctum. 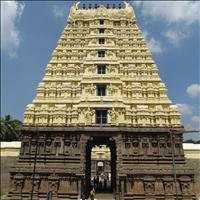 Dedicated to Lord Vishnu, this temple was built between 674 and 800 AD, shortly after Kaliasanatha Temple. The Sri Ekambaranathar Temple is dedicated to Shiva and is one of the largest temples in Kanchipuram. The temple is spread across nine hectares. 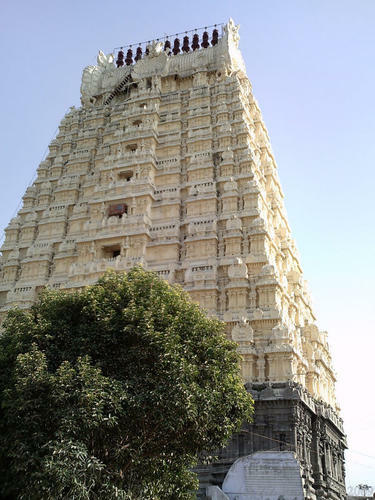 The temple's name is said to be modified from Eka Amra Nathar- the Lord of the Mango tree- and in one of the enclosures is a very old mango trees, with four branches representing the four Vedas. The fruit of each four branches is said to have a different taste. The tree is claimed to be 3,500 years old. 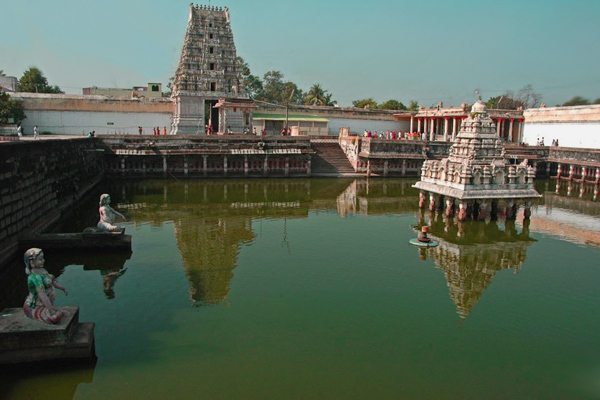 India has three main cities where the Goddess Shakti is worshipped. 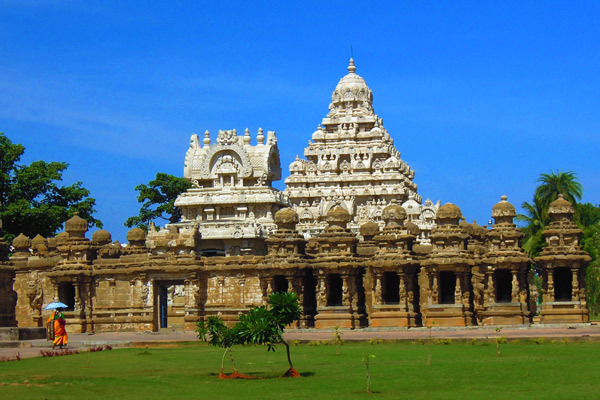 Kanchipuram holds the most important rank among the three. 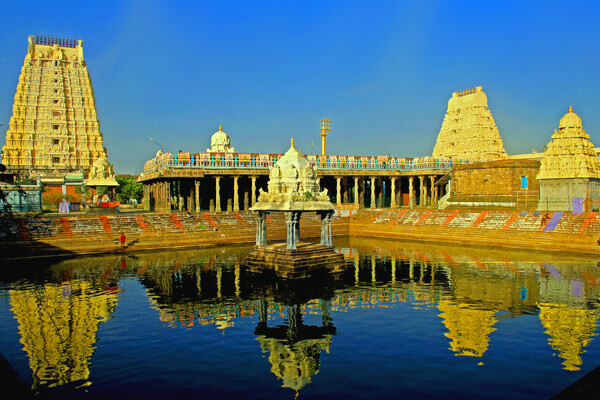 In the same order, the three places are Kanchipuram, where the Goddess Kamakshi is worshipped, Madurai, where the Goddess Meenakshi is worshipped, and Kashi, where the deity is 'Visaalakshi'.\r\nThe Kamakshi Amman temple is the hub of all religious activities in Kanchipuram. 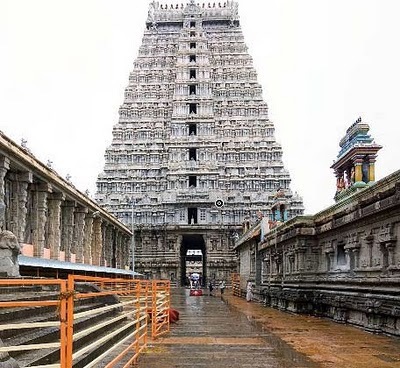 The temple is also in closer control of the Shankara Mutt, unlike the other temples, which are governed either by the Department of Archeology, Government of India, or the Hindu Temples Department of the Tamil Nadu Government. 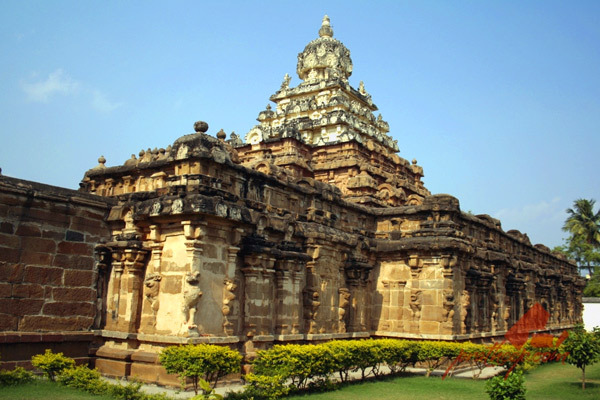 The kings of the Chola Empire built the temple in 14th century AD.\r\nThe main tower over the sanctum (Vimanam) of the temple is gold plated. 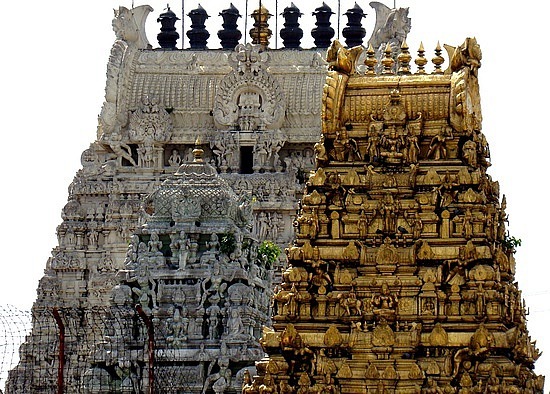 Also of significance is the Golden Chariot in this temple. The Golden Chariot is taken in a procession around the temple on Friday evenings around 7.00 p.m. 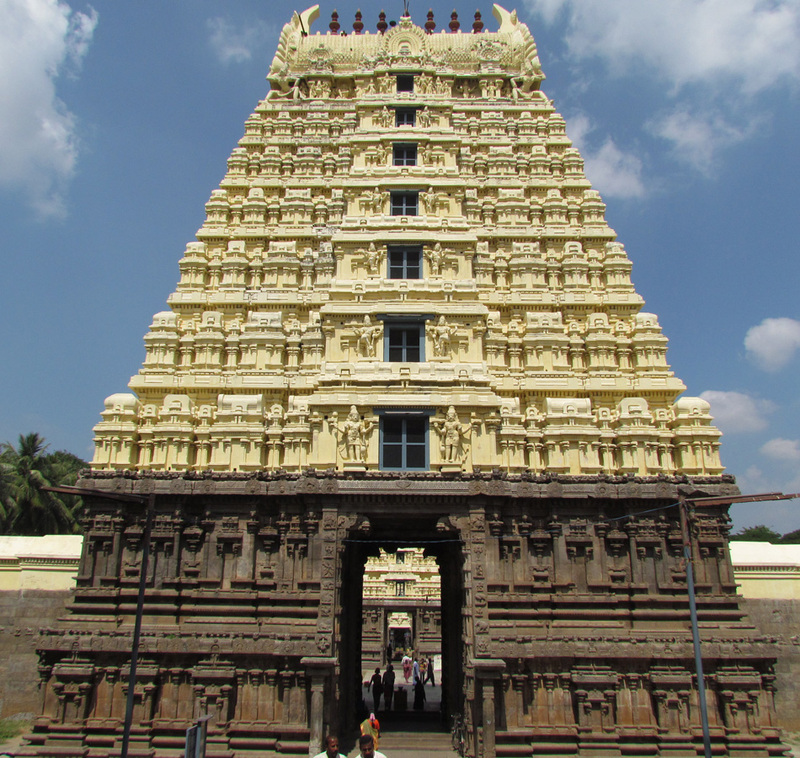 This temple also features an Art Gallery with pictures depicting the history of Sri Adishankaracharya and the Shankara Mutt. Like the Sri Ekambaranathar Temple, this is a huge monument with heavy outer walls. One of its most remarkable features is a huge chain carved from a single piece of stone. 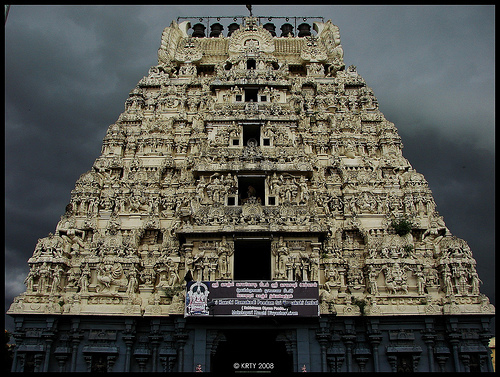 The temple is dedicated to Lord Vishnu and was built by the Vijyanagar kings. 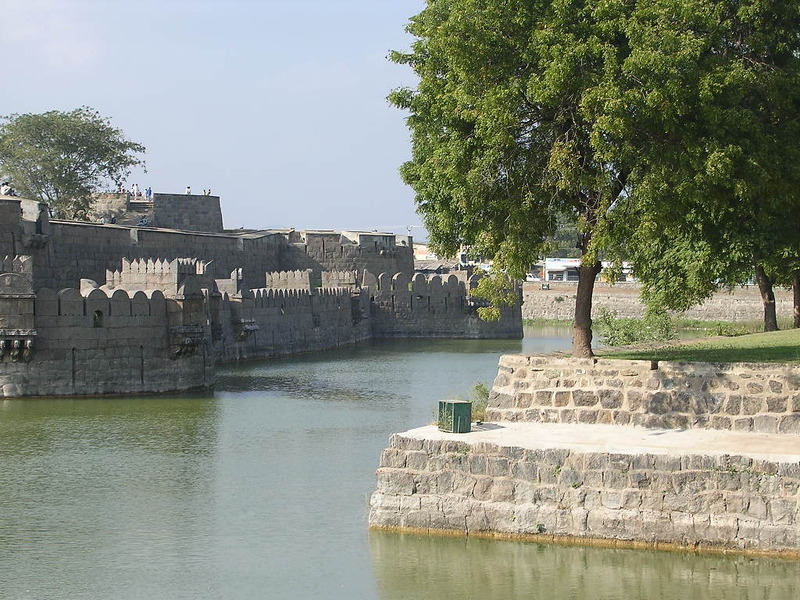 Vellore is 64 Km away from Kanchipuram.It is known for its port and the Jalakandeeswarar temple inside the fort.This historical fort of Vellore was built in the 16th century and is considered to be a perfect specimen of military architecture. The fort is surrounded by a moat and inside the fort is the Jalakanteshwara temple, which has some beautiful sculptures on the ceiling and some richly, carved pillars and monoliths. The Tiger of Mysore, Tipu Sultan, held the fort for some years before he was defeated. 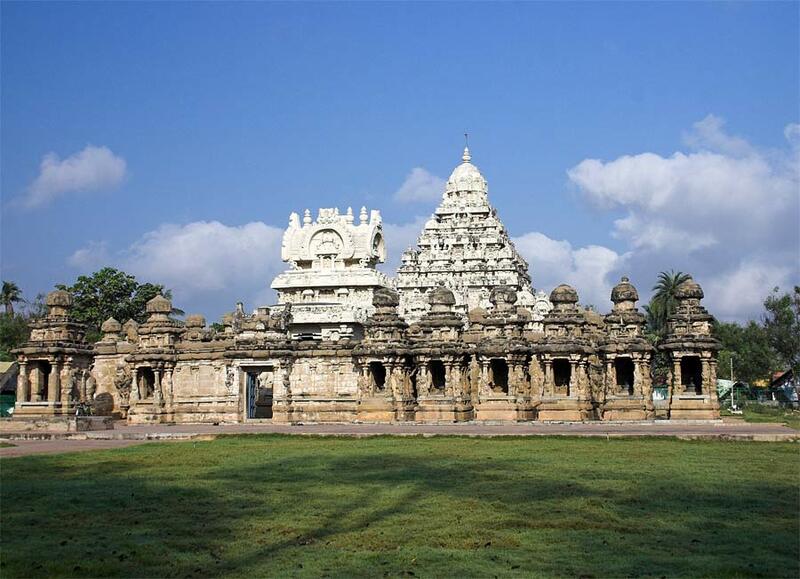 It is a temple town situated at a distance of 112 Km from Kanchipuram. 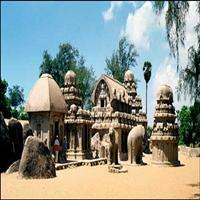 An important Shiva temple is situated at the foothill of a hillock. 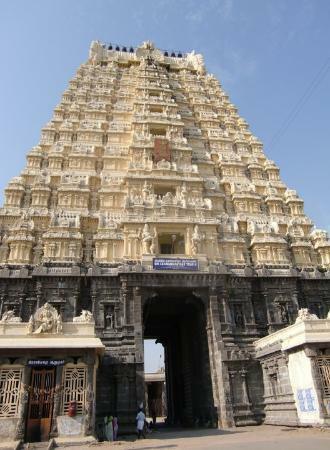 The Arunachaleeshwara Temple is dedicated to Lingodbhava. 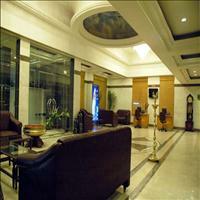 It is attractive because of its impressive architectures and sculptures. 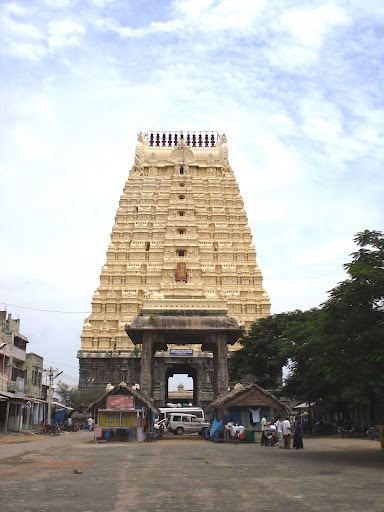 During the Karthigai Deepam festival celebrated in November and December, a huge fire is lit at the top of the hill and devotees flock the temple and the Ramana Maharishi Ashram, which is another attraction. Mamallapuram is situated on the shore of the Bay of Bengal is an ancient seaside town. 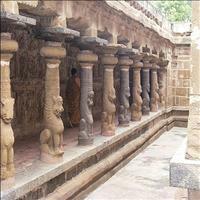 The Pallava art at this place emphasises robust earthly beauty, imbibed with life. 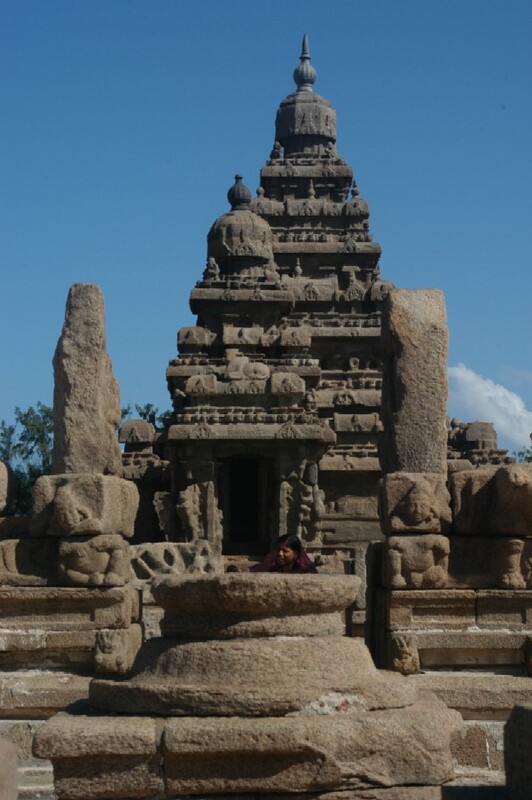 The Pallavas have created many marvelous monuments sculptural panels, caves, monolithic rathas and sculptural temples. Mythological episodes, epic battles, demons, gods, animal, all vividly depicted on the wall sculptures are breathtaking real and artistic. These monumental splendours and the sunny beach attract tourists from all over the world.